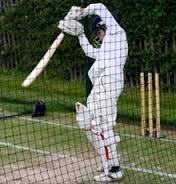 Please Note We will do our best to get your order to you quickly but in peak times there may be a delay in delivery of certain sizes of netting. 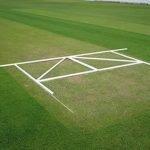 Categories: Cartwrights Sports Ireland, Cricket, Cricket Cages and Netting, Garden and Coaching Nets. 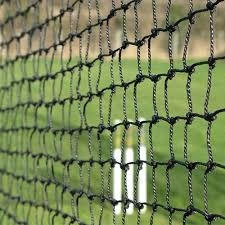 Replace your old cricket, mobile and socketed cage netting with our new 50mm mesh replacement netting. Ideal for repairing your old nets or installing a new system. The netting comes in black but if you require green, blue or white please call the office to confirm, or if you would like a roof sewn in. The netting is manufactured from 3mm HDPE ( High Density Polyethylene) ultra violet stabilised braided twine, which is of cylindrical construction in a 16-plaited braid. 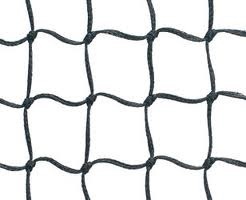 Please choose the length and width of the netting you require – but if you have a specific requirement please give us a call. 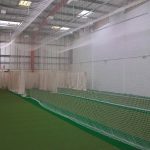 Our indoor nets usually come in white and are all flame retardant unless specified. Please call the office if you need a specific size of net – we are abe able to accommodate any size of netting. 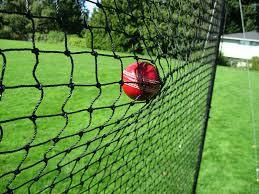 Be the first to review “Heavy Duty Quality 3mm Cricket Netting ” Click here to cancel reply.